I thought I would share a few things about what my first reader experience was like. The mileage of other first readers and potential first readers will vary. I read slowly, so slushing took up a significant amount of time for me. I didn’t keep track for the first four months, but for the last six months (February through July 2013) I first-read 357 stories for a total of 1,391,500 words. That’s like between eight and thirteen novels. And I was barely “keeping up”. On a few rare occasions, I skimmed after the first 1000 words or so. But most of the time I read the entire story. Many first readers don’t do that – because it’s not a requirement – but I did. I’m not completely sure why I kept reading to the end. I guess I didn’t get jaded, but by the conclusion of my stint I was feeling burned out. Reading from the slush pile was like eating Bertie Bots Every Flavor Beans. Sometimes the one I pulled out of the queue was like tiramisu. Occasionally I bit into earwax flavor. But generally I read a lot of interesting stories. One of the bitter-sweet parts of my First Reader Experience was that when I read a really good story, I couldn’t share it. Because of course all submissions are confidential. But on the up side, if I wanted to I could read submissions even if they weren’t assigned to me. So occasionally I got to read brand-new stories written by authors I knew or knew of from their previous publications. So, would I ever volunteer as a first reader again? The short answer is yes. I learned a great deal, and it was generally a positive experience. But first, I need to refuel. I have a huge stack of novels at home waiting to be read. I have a bunch of short stories and a novel churning in my head, begging to be written. And I want to apply some of what I’ve learned to my own writing. I would definitely encourage my writerly (and readerly!) friends to apply for a First Reader position. My main caution would be make sure you have the time. Have you ever thought about applying to be a first reader? Have you ever been a first reader? What was it like for you? This entry was posted in Writing Path and tagged distraction, edit, First Reader, Reading, writing. Bookmark the permalink. I don’t think I could handle being a first reader. But I have two questions for you. 1. How do you think the experience has affected the way you write? 2. 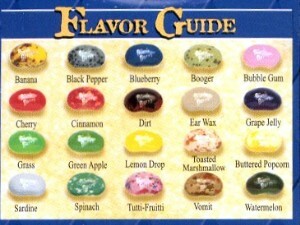 Did you ever get the equivalent of the Bertie Botts vomit flavor? 1. Being a first reader gave my inner editor long nasty talons and horns. Now when I write a short story first draft, I am extremely self-critical. It’s the main reason I haven’t finished and submitted a story for a few months. But right now I’m trying to continue writing – AND submitting – again. All submissions at SH (or any pro market) are confidential, so I can’t really elaborate on details. But there were a few times when I wished I could take a scrub brush to my eyes and brain.